This week's Business Class has a similar theme to last week's. That theme is to SIMPLIFY what you're doing. Don't go bigger, go more focused. If you want to find customers online, then you've come to the right place! Last week, I explained that trying to please everyone is a BIG mistake when it comes to marketing your business. The same theory applies to WHERE you focus your marketing activities. By trying to be everywhere, you're really just doing the equivalent of standing atop (ooh check me out, 'atop'...) a mountain and yelling at the world with a megaphone. You're a tiny little voice in a very big world. 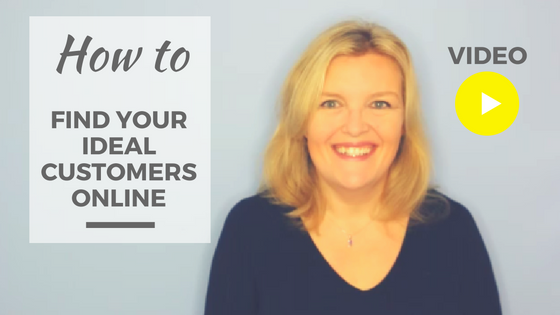 Doesn't it make so much more sense to seek out those people who you've now identified as your ideal customers and market specifically to them? Of course it does! You make it sound so easy Colette - but where do I find these 'ideal customers'? So far, they just exist in my head.